Here is a prime example of things that I cannot comprehend within my industry. 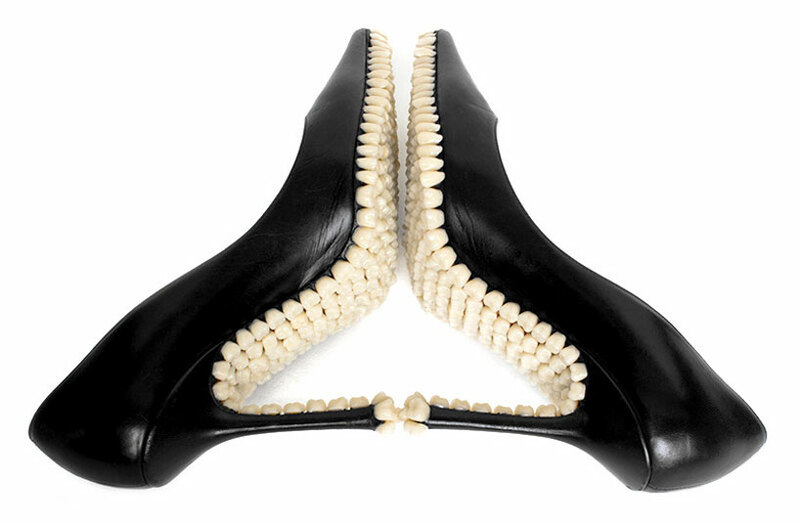 These black pumps, which in itself are ugly, have had around 500 teeth, dentures of course, implanted onto their soles. 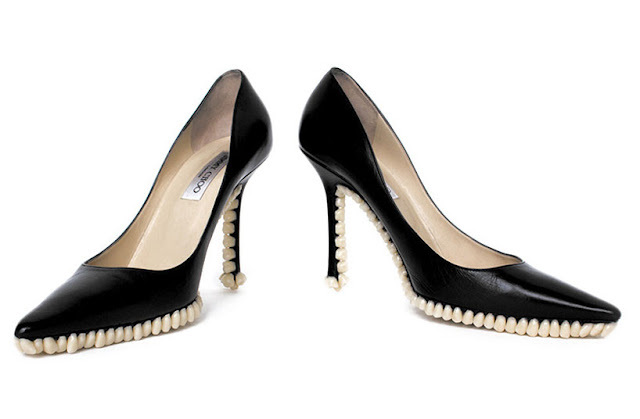 I can't even look at them without wanting to throw up. What do you study? Where do you study it? And how long is your program? When did you start and when will you be finished? I take Fashion Business at a college in toronto--it can be either 2 or 3 years, I'm only doing 2 years so I'll be finished i April. Is this an AA or a BA? What do you intend to do after you graduate? I'll graduate with a diploma, after which i'll go on to university. I'd love to read a post about what interested you, what got you started, your motivations and what you intend to do after you graduate this April, what school you plan on going to.